New York State Safe Boaters Course, MIMS Complete Safe Boaters Course, hands on instructions, classroom instructions, learn at the helm professional training. This course includes the New York State Safe Boaters Course (the 2 week or 4 week version) and a weekend or evening hands on power/sail boat session. All instructors are USCG Licensed Captains. Students are able to use their boat or any boat in our training boat fleet. We have 6 training boats from 14' to 31' along with a full service marina to offer our students. 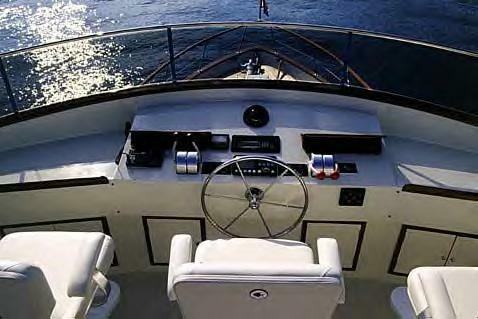 This course is the general safe boaters course for New York State. Classes will meet once a week for 2 hours for 4 weeks. Text are provided. We do realize here at Mid-Island that everyone does not have 4 weeks to devote to the safe boating course so what we did was create the "crash course" version of the basic NYS course. The same amount of material is covered but classes meet once a week for 4 hours for 2 weeks (breaks will be included). At the close of the class (week 2) students can opt to take the exam or they can make an appointment with the instructor to take the exam at a later date (no more then a week after the class). Note: All hands on boating instructors are mandated by Mid-Island Marine Services, Inc. Many of our students are offered teaching positions as hands on boating instructors in our company as well as local marinas, camps, and boat dealerships. In addition, our students are guaranteed an interview with our charter boat company as well as local excursion boats. Internships are available on local party/charter boats for all students. Students can also use our company as a reference for applying to different maritime jobs. We have trained Captain's that currently work for private yacht owners, party boats, charter boats, ferry companies, and more. Click on the link below to visit our training page for more detailed course offerings. Let Experience Seperate You From The Rest! Give us a call or send us e-mail for more info!